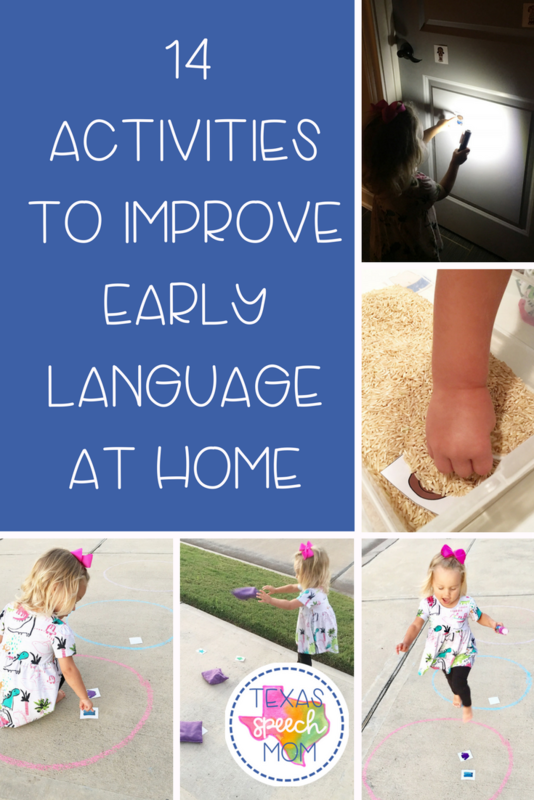 Parents are always asking me for ways to work on language development with their child at home. They mention how they are looking for flashcards on Amazon but don’t even know where to start. 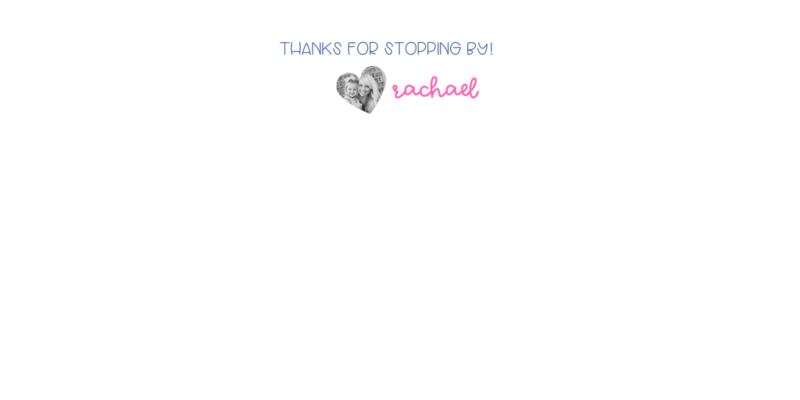 Inside the packet I have explained 14 different games/activities that you can use with the 72 flashcards provided in this packet! Each activity is clearly explained and require minimal materials. 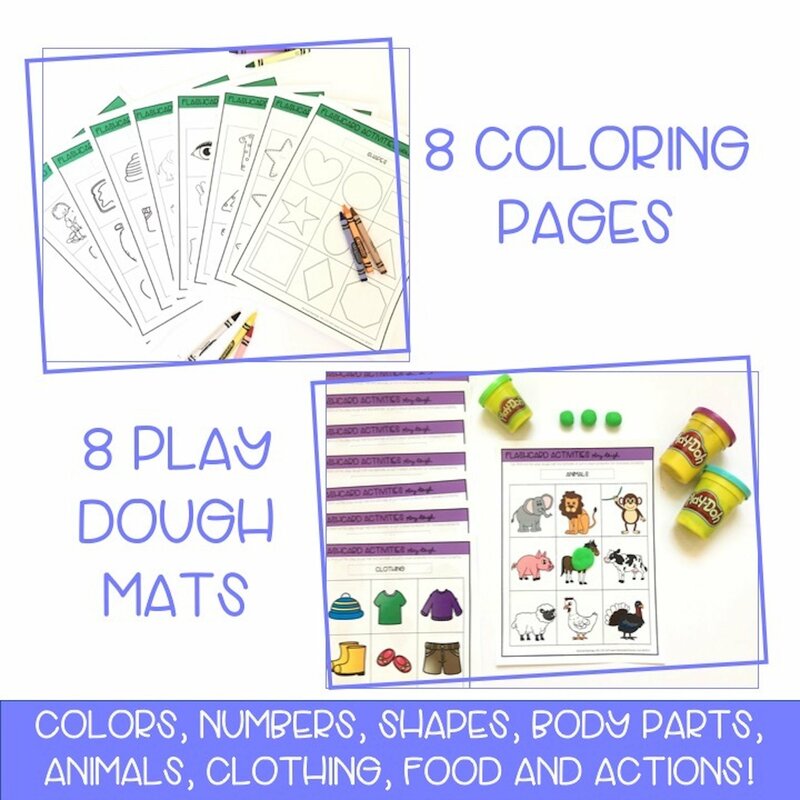 Additionally, there are 8 play dough mats and 8 coloring pages to encourage vocabulary development! Let’s see the activities in action! Before I add anything to my store, I always test it out on my little assistant (if it’s age appropriate)! Thankfully, she had a blast doing all of the activities and I was loving hearing her little voice chat away! She was so excited with each activity I tried out! For this specific game I drew some circles and placed different flashcards in each one. When she jumped in that circle I had her turn over a card and tell me what it was. This also allowed me to expand her responses by asking more questions like: “What sound does the animal make?”, “Where does the animal live?”, “What color is it?” etc. Another activity is following directions with the flashcards. 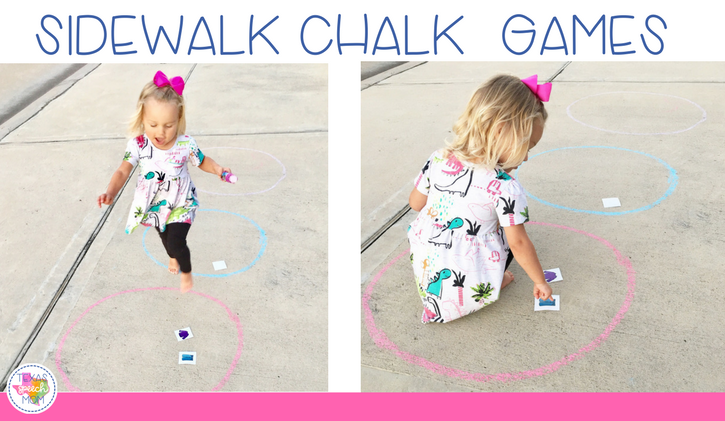 Ask your child to put the picture: “In the purple circle”, “Outside the blue circle”, “Next to the blue star”, etc. Finally, if your child is old enough, tell them to group by category. Start with only two categories, and tell your child to name the picture and talk about what group it can go in. A useful verbal cue can be “A circle is a type of ____”, “An elephant is a type of ____”, etc. My little assistant was ALL ABOUT this activity. We have had these bean bags in our garage collecting dust since our good old “tailgating days” and I wish I brought them out sooner. 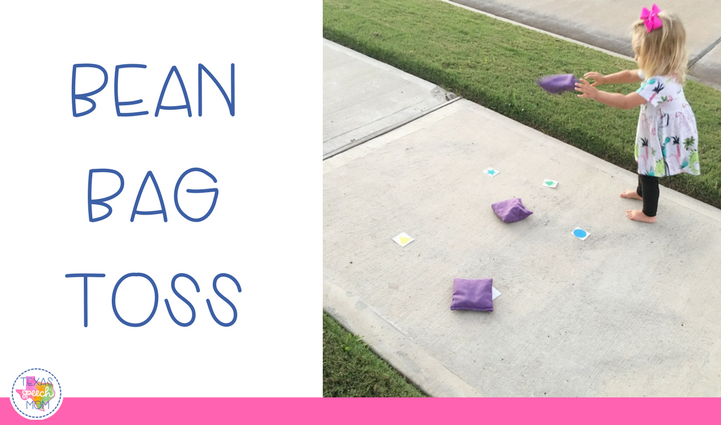 She absolutely loved throwing the bags to get them to land on a picture! 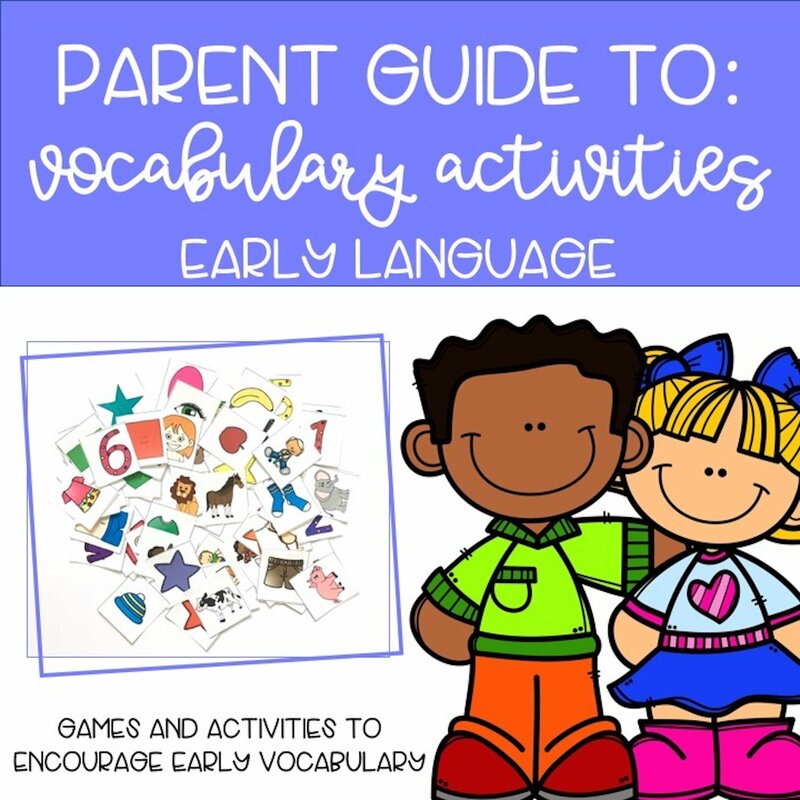 You can target expressive language by having your child name, answer questions, and describe each picture. You can target receptive language (what your child understands) by having them listen to your clues. You can start by telling them to throw the bean bag on the picture you say. The next level would be to describe the picture and have them guess before throwing the bag. This was another quick favorite. I always use sensory bins at work and felt a bit of mommy guilt for not using them at home when I saw how much my daughter LOVED it! There are endless ideas on Pinterest for sensory bins but I love incorporating speech and language goals into it. 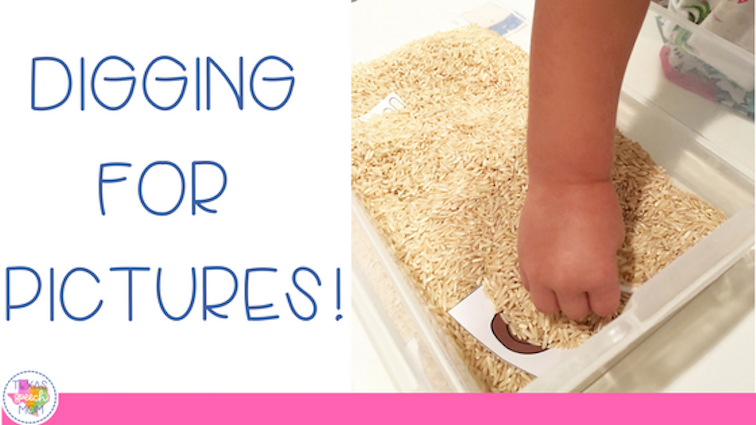 Hide flashcards in a plastic box or bag filled with fun sensory items. Some examples can include: rice, beans, sand, dried pasta, cut up straws, marbles, etc. Allow your child to dig for the flashcards and watch them laugh about how funny it feels!! This is a great opportunity to work on those describing skills too! Hiding flashcards with the lights off was right up my daughter’s alley. She was pumped about using the flashlight and only blinded herself about half a dozen times. 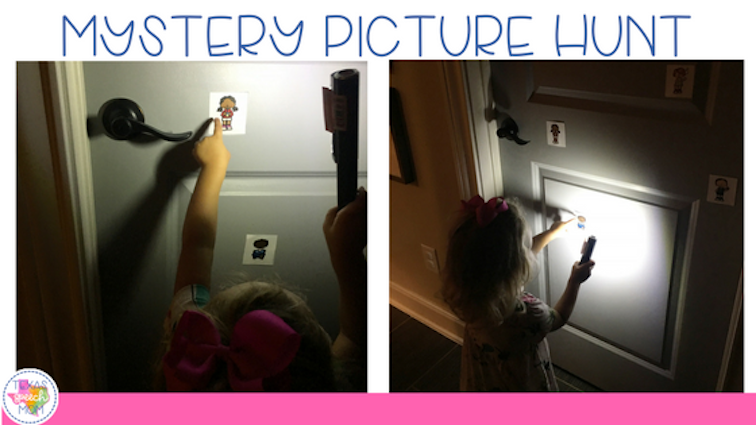 However, she was really into hunting for the pictures on the door and talking about them. Plus- how cute is that tiny pointer finger?! So there you have it. Just a little overview of some of the activities that I have included in the packet! 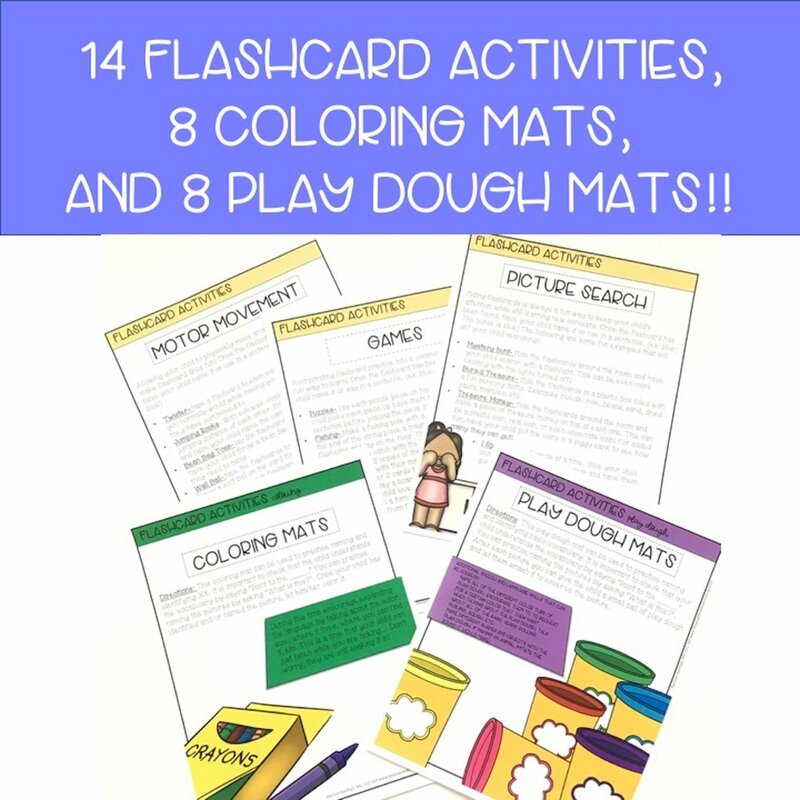 Head on over to my store if you’re interested in reading about 14 activities with 72 flashcards! 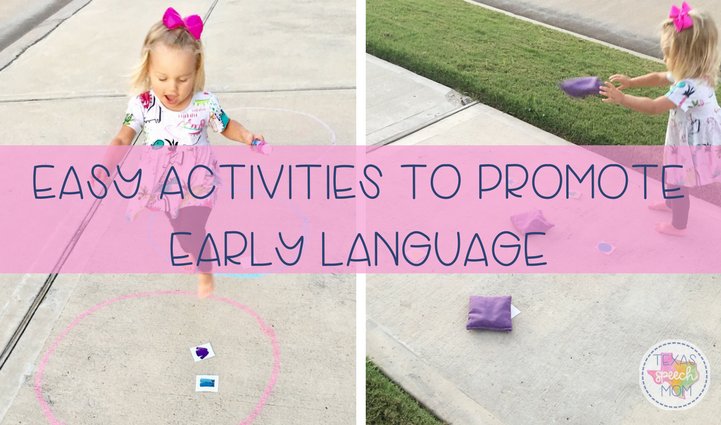 Stay tuned for more posts about how to increase your child’s speech and language development! « Easy (and FREE) Halloween Gifts… Even A Toddler Can Do It!